Jordans, produced by a partnership between legendary American basketballer, Micheal Jordan and Nike, could be considered a status symbol for many young men all over the world. A new pair of Jordans is certain to boost your rep and up your swag. Price is one of the very first things you will need to watch for when purchasing a pair of Jordans. Very rarely will you find an authentic pair of Jordans being sold for less than USD150.00. This is because most Jordans are limited edition and are in high demand, which means they usually tend to sell for relatively expensive prices. So if you’re buying a pair that seem “too cheap”, that’s a major warning sign. Every Jordan style has a unique style number that you should be found on the inside tag of every pair made for that particular style. You can check online for this number and then cross check with the shoes when you eventually get them. To make sure the style number checks out before purchase, you could get in touch with the seller to send you some confirmation. 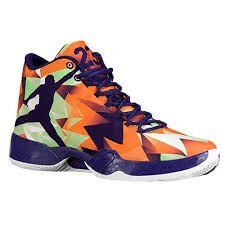 Colorways are the color combinations in which different Jordan styles are made. These are fixed and upgrades ought to maintain the pattern, so if you find a pair of Jordans whose colorway deviates from any known patterns, then you’re best bet is to give them as wide a berth as possible. The construction quality of any pair of Jordans can provide clues to their authenticity. For one, the lacing on original Jordans follows a peculiar spacing pattern, with the laces being wider spaced at the bottom and more evenly spaced up top. Fake versions are unlikely to feature this lacing pattern as it is usually more complex to create. Also, authentic Jordans will have sharp edges to their midsole points (the front tip of the shoe where the sole and fabric of the shoe, close up). If the mid-sole points are rounded out, beware: those shoes are likely to be fake. As much as possible, avoid purchasing Jordans from Asia, as these have a very likelihood of being being fake.